At 8 o’clock you depart along a fascinating route to the mountain village of Brastagi in the Karo Highlands. The trip takes around 2 hours. In Brastagi you can view two active volcanoes, the Sibayak, and the Sinabung further on you can visit Dokan, a traditional Karo Batak village, the fruit market, and Gundaling hill. 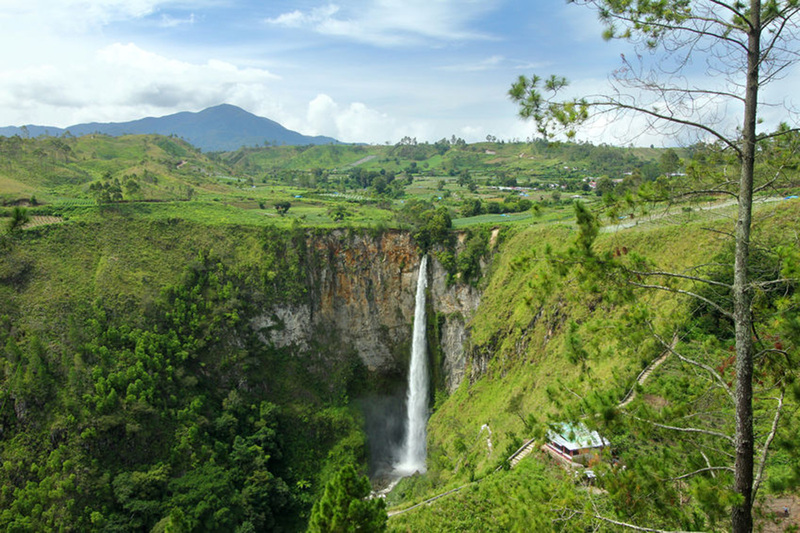 From Brastagi you continue to the northern part of Lake Toba to see the Sipiso-Piso waterfall. Hereafter return to Medan where you arrive in the late afternoon. 2 to 3 persons is USD $75.00 per person. 4 to 6 persons is USD $60.00 per person.